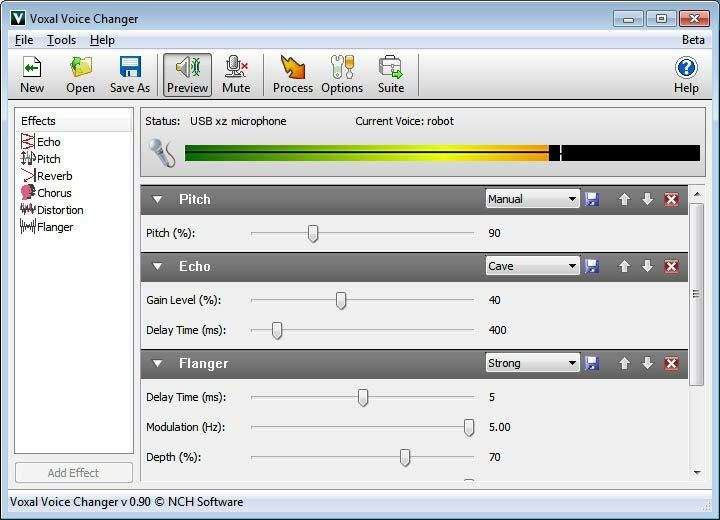 Voxal is free voice changing software to edit voice recordings on a Mac. Voxal can be used to add effects to a recording as well as intercept and add or change audio as it comes into your microphone for voice changing on the fly. Create voices for online avatars and video games. Use a voice disguiser for anonymity over the internet. Change voices to use in voice overs or other audio projects.